Are you looking for ways to create the invitations or tickets for your school prom dance? If you visited this page because you are on the planning committee for your high school Prom, then you have came to the right place. The invites for your prom are important in create the vibe for your school dance. The high school Prom invitation sample you decide on might affect your how many tickets you actually sell. 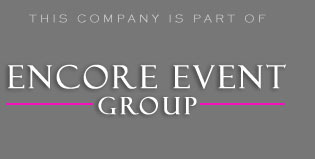 We here at Encore want to help you out. What we did was give you some quick tips for designing your layout. Most schools try to keep their costs lower, so they are more profitable. It is important to stay within your budget, however you do not want to sacrifice quality. In order to be efficient with your prom ticket sales, you will need to get a ticket design that translates to sales. The main purpose of putting on a prom is to generate funds for the graduating class. If this is the case, then your main goal is to sell as many tickets before the dance. To build hype for the dance, you will need a unique theme. Don’t forget that you have other cities with high schools. There might be more than one prom happening on a given Saturday. Now you see how the invitation can help you sell more tickets for the dance. There are a lot of prom themes to choose from, however you will want to build a brand for the dance. This means the decorations and ticket invite layouts will have to be similiar. For example if you are going with a Hollywood theme, then you should use a glamorous font with whites and shimmery golds. Regardless of what theme you decide to use, everything should scream your prom will be amazing! Your main priority besides selling tickets is to create a vibe that is worth the money students paid. The theme you decided on should correspond with the all the design elements. You want to relate every detail in the prom invitation back to your schools theme. If you could create any kind of atmosphere what do you think it should be? Proms are rarely low-key, they have formal traditions, but are always considered over the top. Your invites can be classy or modern. If you put enough time into the design, then you should really have no problems with conveying the message. If you are looking for specific examples, then do a search in Google or Yahoo for a card site that does custom layouts. Brainstorming is the easiest part! There are tons of examples to be found on the internet. The hardest part is making up your mind on which one you should use. Typically, important decisions are made with a vote by the committee. To get good feedback, have several design templates available. A good rule of thumb is to have several drafts ready to present to them. The more options you have the better your chances are that you will end up with a good invitation sample.